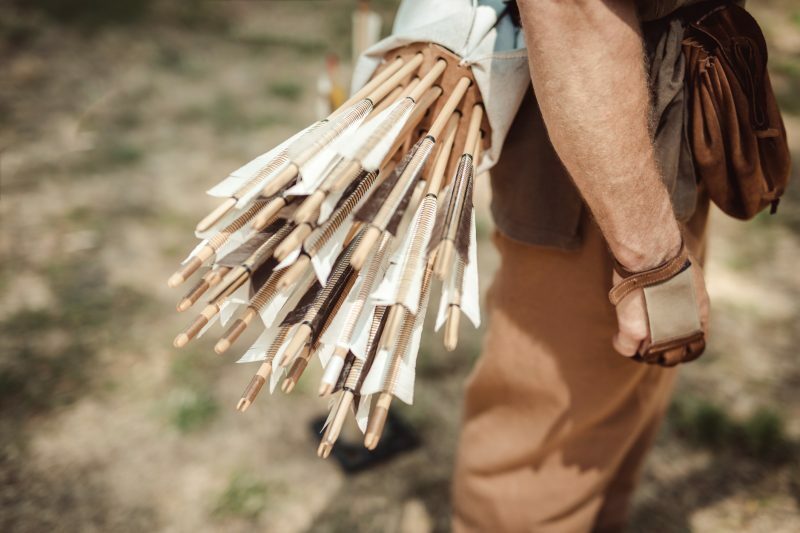 The heavy war arrows used by English longbowmen were able to penetrate leather and cloth armor, iron plate armor, and even some types of steel plate armor. Few medieval weapons of the projectile-firing (or, rather, loosing) variety have achieved as much fame as the English longbow. A six-foot bow made of yew wood, the English longbow had a draw weight of between 80 and 150 pounds, an effective range of up to 350 yards. The heavy war arrows used were able to penetrate all but the very best steel plate armor of the medieval period. This, coupled with the fact that an experienced archer could loose up to six arrows per minute, meant that a force of expert archers could shower their adversaries with a storm of thousands of deadly projectiles in mere minutes. Being such a potent military force, English longbowmen proved pivotal in a number of English battlefield victories. While the oldest specimen of a longbow dates all the way back to approximately 2,690BC, the first mentioned use of the longbow in the written record goes back to 1188AD, when an English knight fighting the Welsh described how a Welsh longbowman loosed an arrow at him that passed through his armored thigh and the saddle behind it with such force that it killed his horse. 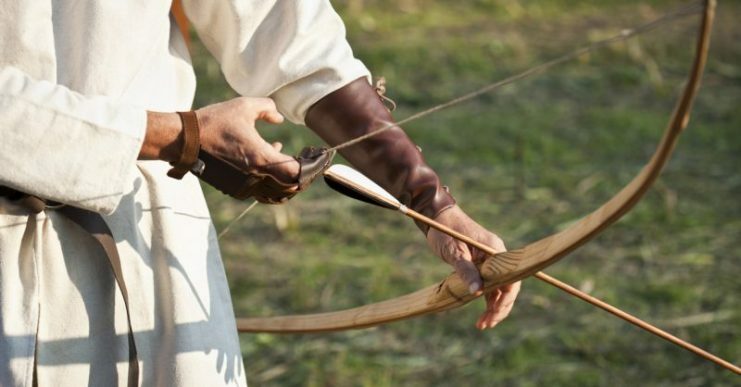 The “English” longbow – as defined by the type used in the medieval period – was actually more likely a Welsh invention. Mention was made of how devastatingly effective the Welsh bowmen were against the Normans, who began a series of campaigns against Wales a few years after they had invaded England. 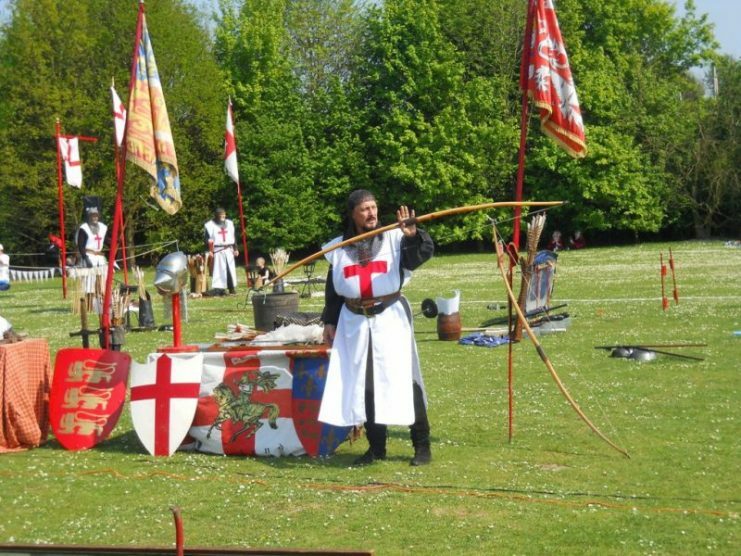 It didn’t take long for the Anglo-Normans (famous adopters of anything they found to be useful) to begin introducing the longbow into their own armies. 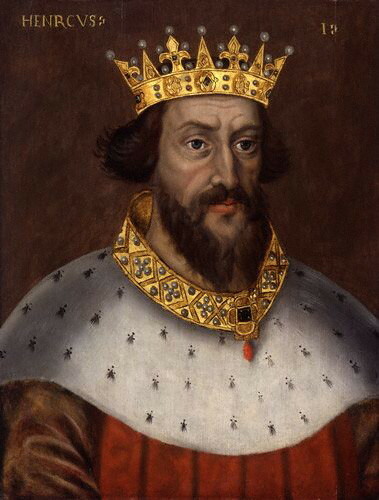 In the 12th century, King Henry I introduced a law that would absolve any man of guilt if he killed someone while practicing with his longbow. This shows just how important skilled longbowmen were considered to be. 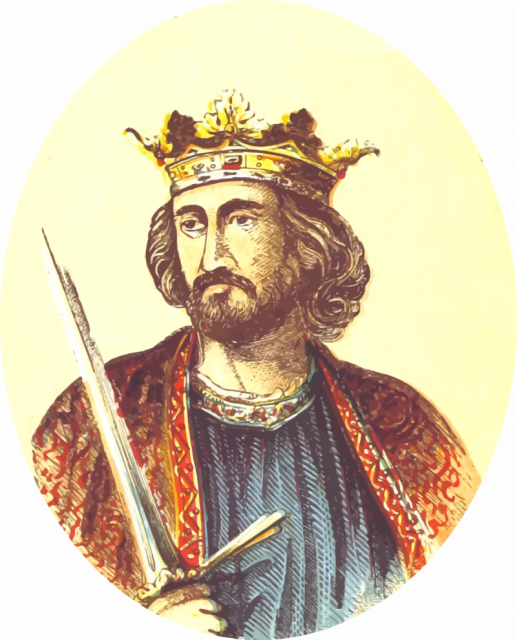 Later, furthering this notion, Edward I, the “Hammer of the Scots,” banned all sports on Sundays except for archery, which every able-bodied male, from boys to older men, was required to practice throughout England. While the effectiveness of the longbow as a weapon is beyond dispute, one major disadvantage of it was that it required years of training and practice to become an effective longbowman. This was in contrast to the much simpler crossbow, which could be mastered in a few weeks even by inexperienced peasants. This was why English monarchs made laws requiring all able-bodied men to practice with longbows constantly; they needed them ready and trained for times of war, so that they could be mustered quickly. 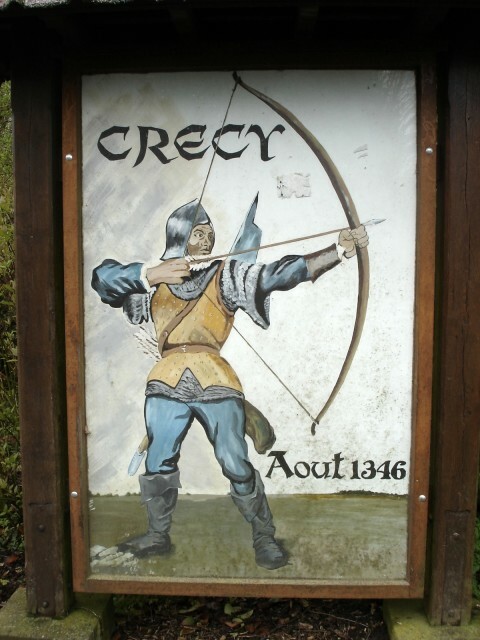 The power of the English longbow (almost double the draw weight of modern hunting bows) required the archer to possess both physical strength and a well-honed technique. Evidence of the toll that longbow training and use took on archers can be seen on skeletons of archers found on the wreck of the Mary Rose, which sank near Portsmouth in 1545. Hundreds of intact longbows were recovered from the wreck in the 1980s, as well as skeletons of archers, many with leather quivers still around their bodies. The skeletons of the archers showed enlarged left arms, twisted spines, and thickened joints around the left wrist, left shoulder, and right fingers. Such substantial physical alterations showed what effect years of training with a heavy draw weight longbow could have on an archer’s body. Drawing one of these heavy bows was not all brute strength though; contemporary accounts from the medieval period described the English technique of pressing one’s body into the bow rather than simply using one’s right arm to pull the string back. Obviously, such a technique would have taken years to master. 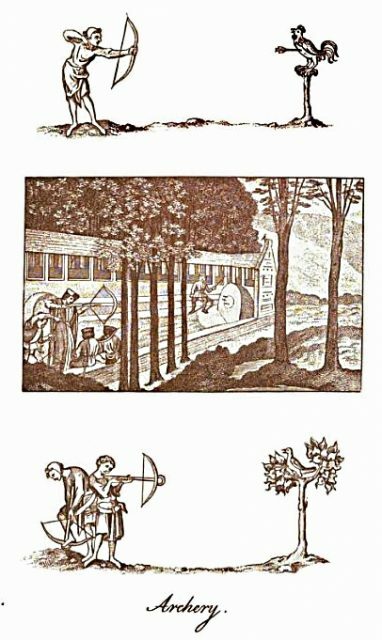 Three panels depicting archery in England from various time periods. However, learning such a skill turned a man into a very effective killing machine. The heavy war arrows used by English longbowmen were able to penetrate leather and cloth armor, chain mail armor, iron plate armor, and even some types of steel plate armor, with only the very best steel armor being impervious to their deadly arrowheads. The types of arrowheads used varied depending on the circumstances, but each archer in an English army was generally issued with around 60 arrows. The most common type of arrowhead was the bodkin, a narrow, dagger-like arrowhead that was very effective at penetrating armor. Broadheads could inflict devastating wounds on lightly-armored men, while barbed arrowheads were difficult to extract from wounds. 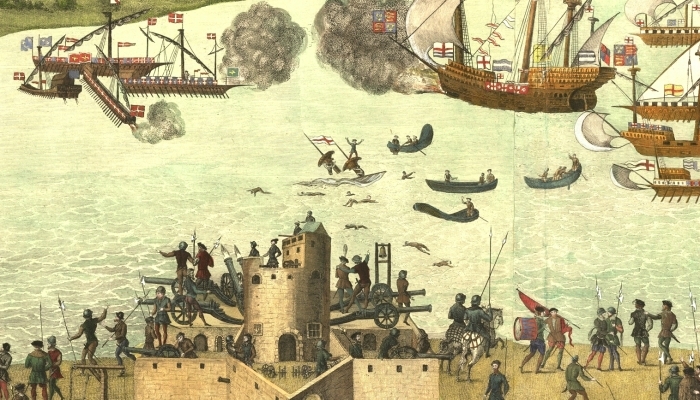 The deadly effectiveness of English and Welsh longbowmen was most famously displayed in a number of battles during the Hundred Years’ War between France and England. 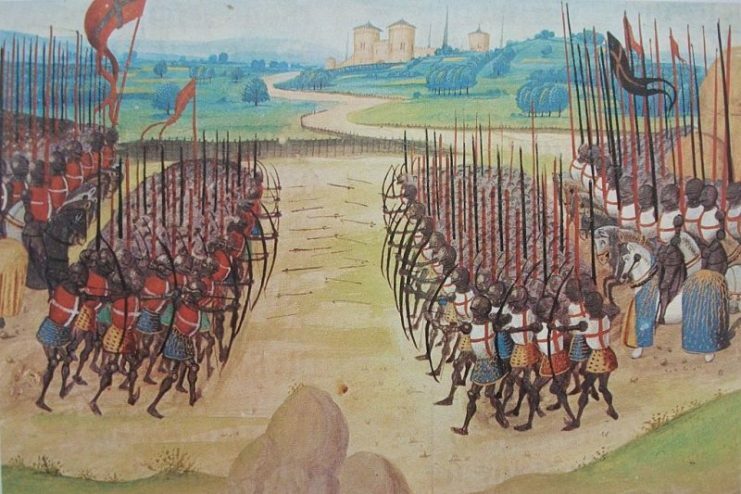 Perhaps the most famous of these is the Battle of Agincourt in 1415, in which a vastly outnumbered English army defeated a French army, inflicting heavy casualties, largely due to the effectiveness of their longbowmen. 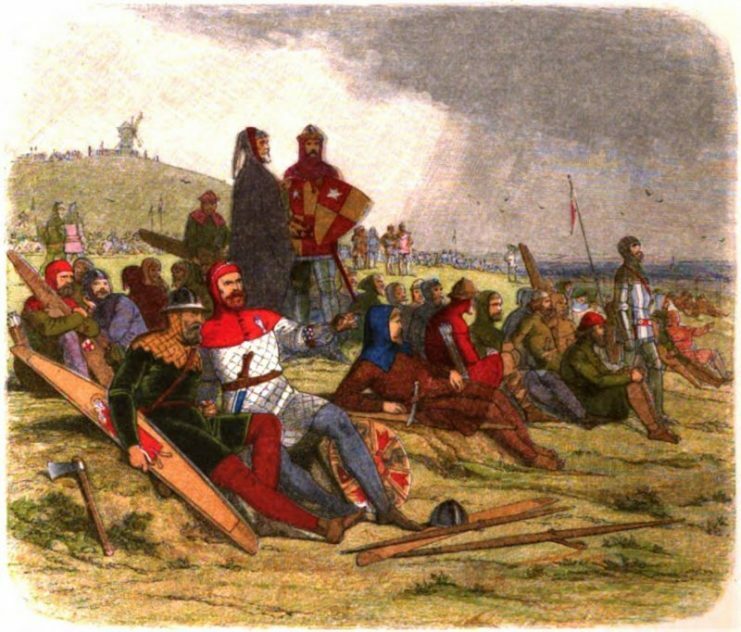 There were between 6,000 and 9,000 English warriors, a large percentage of whom were longbowmen, against 20,000 – 30,000 French troops. The core of the French army was a force of 10,000 heavily-armored knights – but at the end of the day, almost 10,000 French troops lay dead, while only a few hundred Englishmen were killed. 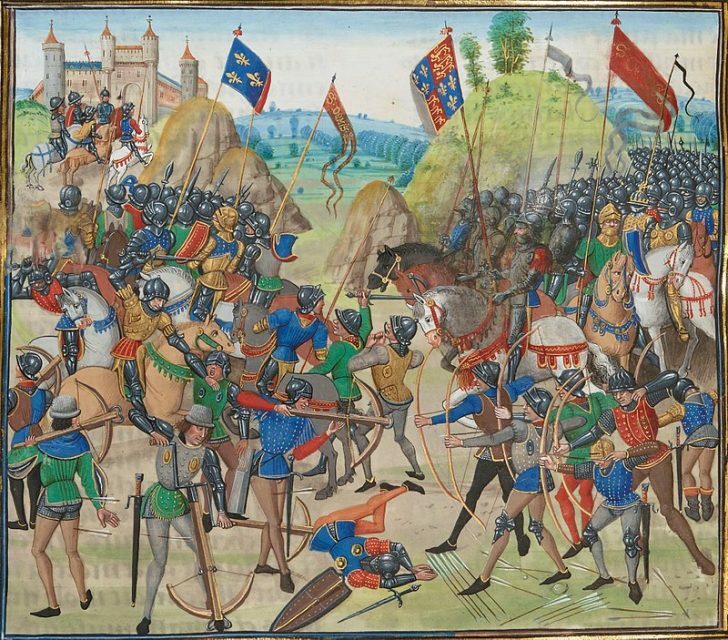 Other battles of the Hundred Years’ War at which English and Welsh longbowmen played major roles in English victories were at Poitiers (1356), Sluys (1340), and Crecy (1346), while they also played a major role in the wars against the Scots and in the Wars of the Roses. A late 15th Century illustration of the Battle of Crécy. Anglo-Welsh longbowmen figure prominently in the foreground on the right, where they are driving away Italian mercenary crossbowmen. Demand in the medieval era for longbows with which to equip the longbowmen of the English army actually led to shortages of yew wood throughout Britain. English kings were obliged to import yew from mainland Europe for their bows, which consequently caused further shortages of yew there. It is often said that the age of gunpowder rendered the longbow obsolete. While this is largely true, it is not because early muskets and arquebuses were superior weapons. Rather, it is because, like crossbows, they could be mastered with far less training and technique than was required for a longbow. 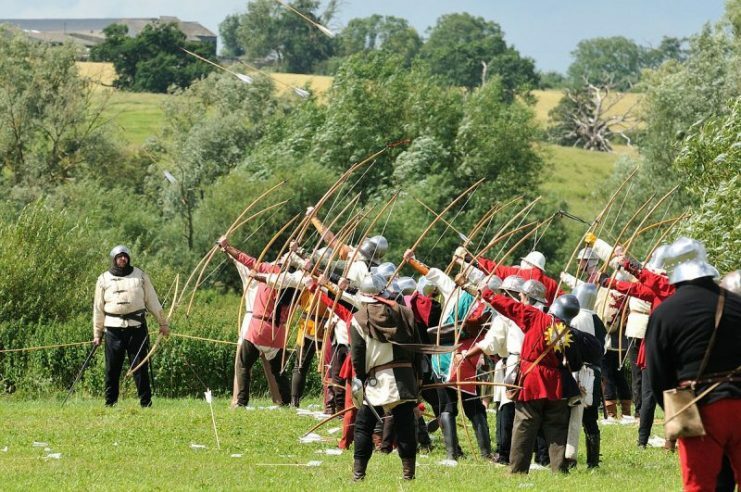 The last recorded use of longbows in battle was at the Battle of Tippermuir in 1644. After this, while longbows may have been used in minor encounters and skirmishes, they were largely phased out of English warfare. Stock photo of a longbow. , when Jack Churchill killed a German soldier with an arrow he loosed from his longbow in 1944.